Another year is coming to a close, and much to show for it, ups and downs and every direction. 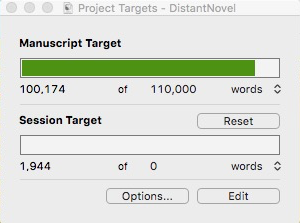 I finished the first draft of a new novel, and worked on more short stories than I can shake a metaphor at. I made the Campbell Award longlist! I lost a Hugo award with the rest of the amazing Escape Pod team, and took part as we won and rejected a Parsec award. My final submission to Writers of the Future became a finalist, but I withdrew my story over ethical concerns. I sold 4 original stories, but two of those sales fell through when the magazines closed. Toward Lands Uncharted – Mind Candy, Feb 2018 (secondary world fantasy, 4900 words). A diplomat and spy must try to save her nation and its very history from their conqueror’s Sykes-Picot border magic. Where the Anchor Lies – Beneath Ceaseless Skies, Feb 2018 (science fantasy, 4000 words). A general visits the grave of the sentient battleship she loved, to use it as a political tool. The Seeds We Plant – Compelling SF special issue, Sep 2018 (science fiction, 2200 words). When a colony ship suffers a brutal accident, the pilot must reply on his emotional-control neuroprosthesis to save his cargo. Not available free online. Contact me for a copy in the format of your choice. If you only have time to read one story, this is the one I recommend. Putting the Science in Fiction – a collection of 59 essays by scientists and other experts, designed to help authors write with authenticity – is eligible for the Hugo award for Best Related Work . Twelve new entries in the #NeuroThursday Twitter feature. If you’re in a position to nominate for awards of any kind, I hope you’ll consider not only these fine works, but the whole team over at Escape Pod. We work hard every week to bring you the finest in audio fiction, and we’ll be eligible once again for the Hugo Award for Best Semiprozine. We also published a lot of awesome stories, so take a look back at that list and see if one of them feels worthy of your love too! This entry was posted in Admin, NeuroThursday, Publications, Science, Short Stories, Writing on December 11, 2018 by bckinney. Sound exciting? Well, that conference was only the start: SoCIA will return April 13-15, 2018, at the University of Reno in Nevada! You don’t have to be an academic to present. In fact, the organizers would love to have some contributions from science fiction writers who want to tackle and discuss the future of humanity’s contact with alien life! 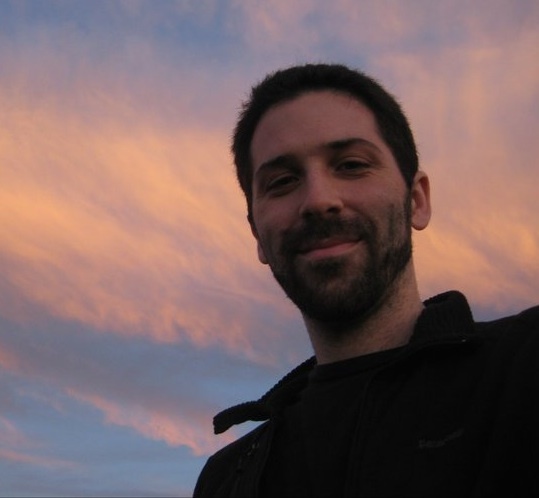 Last year the speakers ranged from astronomers and biologists to social anthropologists and philosophers, plus two keynote speakers: one space simulation veteran and the former NASA historian. This entry was posted in Science, Writing on July 7, 2017 by bckinney. Once upon a time (in the bygone days of 2016), I would post monthly news updates here. This year, not so much. Too redundant, with all else going on. If you still want to see a once-monthly roundup of what I’ve been doing, sign up for my mailing list! It has all the same stuff you would’ve read here, plus exclusive content of story excerpts and cat photos. But fear not – new events and excitements will continue to appear here as they happen! This entry was posted in Admin, Writing on April 1, 2017 by bckinney. 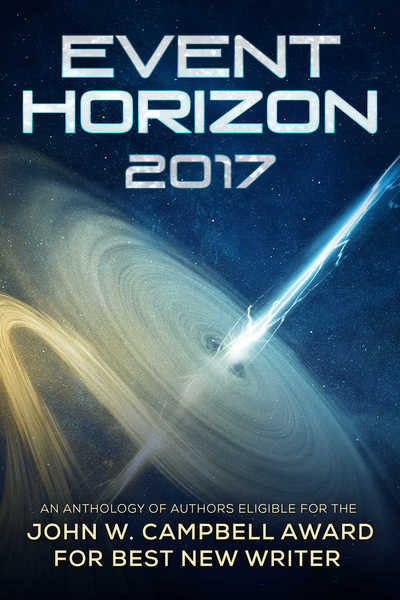 The Event Horizon anthology has come out today, and is free for all to download until July 15! This is the latest in a long line of Campbellian Anthologies, containing the works of over 75 people eligible for this year’s John W. Campbell Award for Best New Writer. Everyone in here published their first professional piece of science fiction or fantasy in 2015 or 2016. I’m eligible myself, so you’ll find one of my stories in the anthology – though if you follow my blog, you’ve probably read the story already! The award is selected by members of this year’s World Science Fiction Convention, with the finalists decided this week, and the winners in a few months. But anyone can read and enjoy nearly 400,000 words by this year’s most promising new writers! This entry was posted in Publications, Short Stories, Writing on March 13, 2017 by bckinney. More travel. Oh god the travel. But it was fun! I ate 5 thanksgiving dinners! And now I’m back. Novel revisions coming along, a little behind schedule, currently hope to be done by the year’s end. May be shifting up my convention plans for 2017. Jumping toward the Nebulas, which may mean skipping Capricon. Still aiming for Worldcon but don’t know enough about my summer schedule. I wrote and submitted a nonfiction article to a major market! They accepted the concept pitch, but we’ll see about the article itself. “The Evolved Brain” is based on the second half of the talk I gave to the Viable Paradise Reunion in October. This entry was posted in Novel, Science, Writing on December 2, 2016 by bckinney. Brief post this month, because I’m in the middle of a 2-week academic conference travel loop. Attended the Viable Paradise 20th reunion, and gave a neuroscience talk on how to understand the brain. For the countless among you who missed it, fear not: I’m working on adapting my talk into a nonfiction article for various publications! Finished up a new short story, “The Hammer’s Prayer.” It’s in the second-draft stage, will need some more thought & revision before it’ll be ready for launch. Sold my first reprint, of a short story that didn’t get spread far on its first sale! Continuing apace with second-draft revisions of the novel. May not hit my December 1 self-imposed deadline, but I won’t be too far behind it. Thus, instead of doing NaNoWriMo, I’m doing NaNoFiReMo. (That’s “Finish Revising.” Or “fire,” as needed.) But no promises since I have multiple end-of-November deadlines. Current short story status: 11 submissions circulating, 3 of them shortlisted. This entry was posted in Novel, Science, Short Stories, Writing on November 1, 2016 by bckinney. My short story Shiplight came out at Metaphorosis! The text version of Sweeter than Lead (previously audio-only) went up on Podcastle! First draft of new short story! So far, pretty terrible! Novel revision status: behind schedule, but progressing! I’ve solved all the big structural problems, now I just need to implement it all. I attended a Social & Conceptual Issues in Astrobiology conference. Super-amazing! Spent today at Archon! Had my first public reading, and I was on a bunch of fun panels. Got to play the expert for a little while, and meet a bunch of excellent people. October will include 3 weeks of travel (2 for work, 1 to visit family). Hopefully I can get a lot of revisions done meanwhile! This entry was posted in Writing on October 1, 2016 by bckinney. How was your July? Was it amazing? Mine was! My story “Sweeter than Lead” came out at PodCastle. Neo-Lovecraftian dark fantasy about addiction, succession and malevolent timelines! My story “The Time Cookie Wars” came out at Flash Fiction Online1. Black comedy about time travel and delicious cookies! I finished the first draft of the Conquistador Dragon novel: 106,000 words of Age of Exploration epic fantasy, now titled The Cannon and the Coin! I got my Worldcon panel schedule! I attended Mary Robinette Kowal‘s short story intensive workshop. Folks this class is fantastic. My favorite parts were the tools for expanding ideas into stories at turbo speed, and especially the methods for plot structuring. And in the process I wrote up the openings to two super exciting new stories. I think that’s it? It sure feels like enough! This coming month will bring yet more of the joyful chaos. Two weeks until Worldcon! And after that, only one week until my wife returns from Mars! This entry was posted in Appearances, HI-SEAS, Novel, Publications, Short Stories, Writing on August 2, 2016 by bckinney. That’s it. After 19 weeks and 106,000 words, the first draft of the Conquistador Dragon Novel is finished. Its working title is now “The Cannon and the Coin,” an epic fantasy about faith, globalization, and the Age of Exploration. This entry was posted in Novel, Writing on July 27, 2016 by bckinney. Tonight, the Untitled Conquistador Dragon Novel passed 100,000 words. It’s long enough to be a proper novel. A big milestone, but not quite the end. It needs another 2.25 scenes, probably 5-10k more words. Holy crap. I’ve been working on my first novel draft since mid-March, and it’s going to be finished by the middle of next week. This entry was posted in Writing on July 22, 2016 by bckinney.